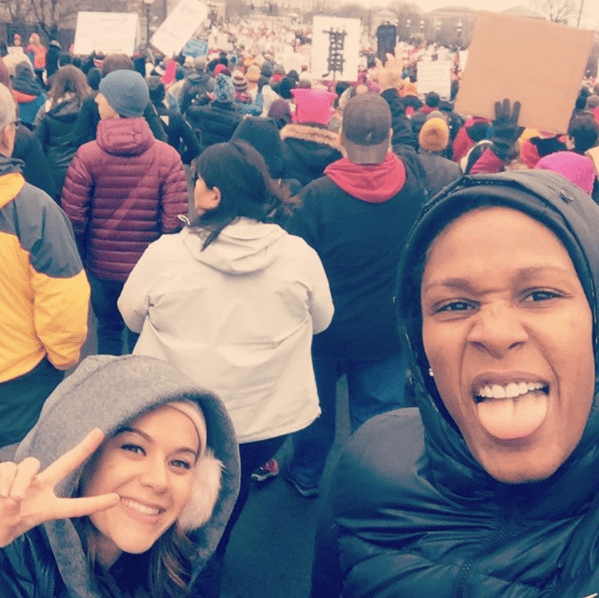 WNBA Players Participate in the Women’s March In D.C.
On Saturday millions across the nation and around the world marched in support of women’s rights. A day after the inauguration of the 45th President of the United States Donald Trump, women, men and children made it clear that women will demand respect and that their rights are human rights. There is a feeling among many that President Trump is a threat to the advancement of women’s rights with the misogynistic rhetoric his campaign spewed, the derogatory comments he was recorded making about women, and his plan to repeal the Affordable Care Act, which made it possible for millions of people to get health insurance that includes coverage for birth control and prenatal care. President Trump has also spoken of his desire to defund Planned Parenthood; an organization that provides low-cost family-planning services and other health care to millions of people every year. The crowds that showed up in Washington D.C. on Saturday trumped the scattered presence at the Inauguration the day before. Dressed in pink and armed with unity and some pretty unique signs and props, the Women’s March 2017 made history. In what doubled as an anti Trump rally, it was not only about the rights of women but also a protest against the Trump administration’s policy positions toward a wide range of groups, including Mexican immigrants, Muslims, and the LGBT community. Briann January of the Indiana Fever made the trip to D.C. to support women’s rights. Marissa Coleman of the Indiana Fever heads to the march on the D.C. metro. 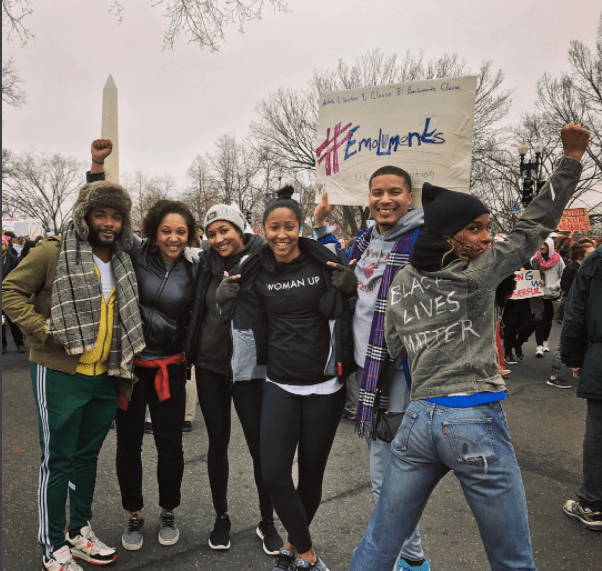 As some of the first professional athletes to take a stand against social injustice it comes as no surprise that several WNBA players were in attendance for the Women’s March on Washington. Last summer the WNBA and it’s players were in the spotlight after several teams wore Black Lives Matter t-shirts during game warm-ups, kneeled during the playing of the national anthem, and publicly spoke out against police brutality. Despite some backlash and even fines handed down from the league, which were later rescinded, the players refused to be silenced. The New York Liberty even went as far as not taking questions from the media about anything other than those pertaining to the the message they were sending. Marissa Coleman of the Indiana Fever marched on Saturday and had a lot to say about her experience. So again, WNBA players were on the front lines of protest and in support of change. These issues directly affect the women of the WNBA and it’s wonderful to see players being involved and active off the court. The March on Saturday will not be the last you see of these women. Coleman and January both have plans to take action in their home away from home in Indianapolis. They are interested in working with the police department to provide and support educational programs for underprivileged kids in the area. After rallying with thousands of women in the nation’s capital, Coleman left with a feeling of hope. “For the first since Trump has been elected, I felt a sense of hope. I left wanting to do more and be better. I felt inspired leaving.” The women of the WNBA are role models and serve a great purpose to their communities. They are the future leaders in this country and continue to inspire us all. Washington D.C. native and Minnesota Lynx forward Rebekkah Brunson supported women’s rights on Saturday. Unlike the NBA season, which lasts almost eight months if you include the playoffs, the WNBA season is only five months long. That leaves a lot of time for league players to do something else during the other months of the year. The majority of players head overseas to compete in foreign leagues during the “off-season”, but many stay home to pursue other opportunities. WNBA players can make up to five times more than their domestic salaries abroad which is why many head that way during the offseason. The maximum salary of a WNBA player is a little over $100,000, with the average around $75,000. While this is great money for the time spent, and besides, these women get to play basketball for a living, most continue on in varying careers after their playing days are over. To help better prepare WNBA players for life after basketball the league provides paid internship opportunities to those that are interested. Already, the league requires it’s players to either be 22 years of age, graduated from a four-year university, or used all of their college eligibility to even enter the WNBA, which serves a great purpose when the time comes to hang up your sneakers. Dolson hopes that this new experience with Bobbi Brown Cosmetics will help her to figure out what she is interested in outside of basketball. She will have gained invaluable hands on experience that will prepare her for a second career after basketball. 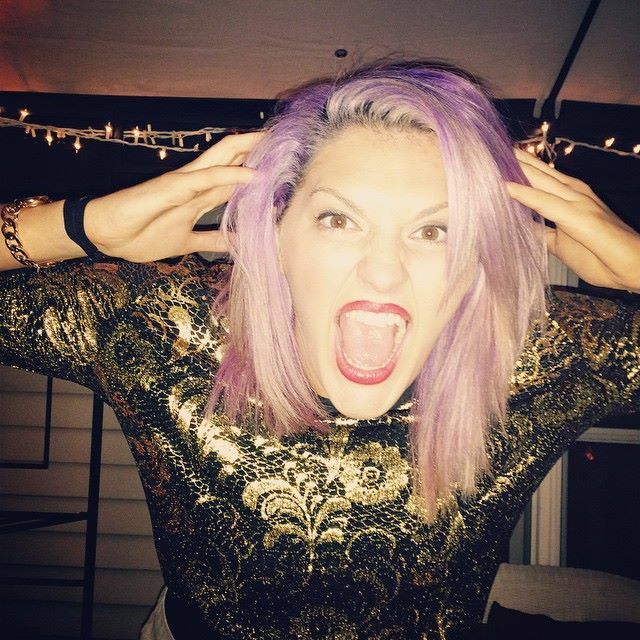 Stephanie is known for her bubbly personality and unique style off the court. Many players in the past have taken advantage of the WNBA’s internship opportunity and this year a record number of players are currently enrolled. Several years ago, 10 year WNBA veteran Monique Currie completed an internship with EYA, a real estate development company in the Washington D.C. area. Currie was unable to play basketball that year as she had suffered an ACL injury while playing overseas. Upon returning home, she decided her time would be best used to not only rehab but to pursue other interests outside of basketball as well. “My time with EYA was an amazing opportunity for me. I’m very interested in real estate and was able to use my time to better prepare myself for the future. 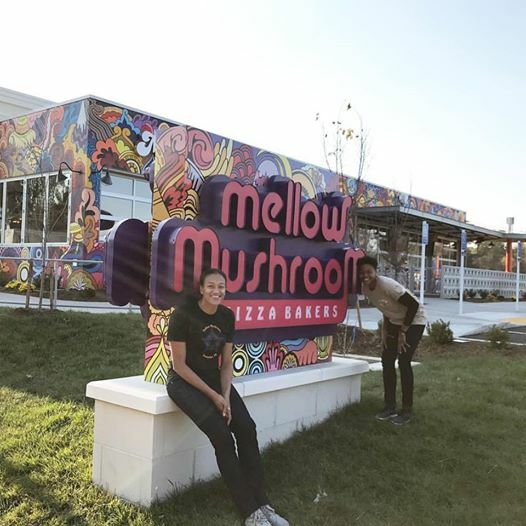 WNBA players pretty much play year-round and are unable to gain real work experience outside of basketball so I am extremely grateful and proud that the league is taking the initiative to help their players succeed in life.” Currie wrote a pretty insightful and funny blog post about some of her first experiences with the company that you can read here. From the Court to the Cubicle. This all goes to show that the WNBA is more than just a basketball league. The WNBA is made up of great women who are role models, business women, college graduates, and community leaders. They come from all walks of life and all have their own unique stories. WNBA players continually express the importance of education to the youth and they practice what they preach with the majority of players having college degrees. Perhaps one day WNBA players will make enough money where they don’t have to have a second career if they choose to but for now the WNBA is contributing to the success of their players on and off the court. Top 5 Moments from the 2016 WNBA Season!!! Now that the WNBA season is officially over let’s relive what we think were the top 5 moments from this historic 20th anniversary season. Let us know what you think are the top 5 moments from the 2016 WNBA season. 5. 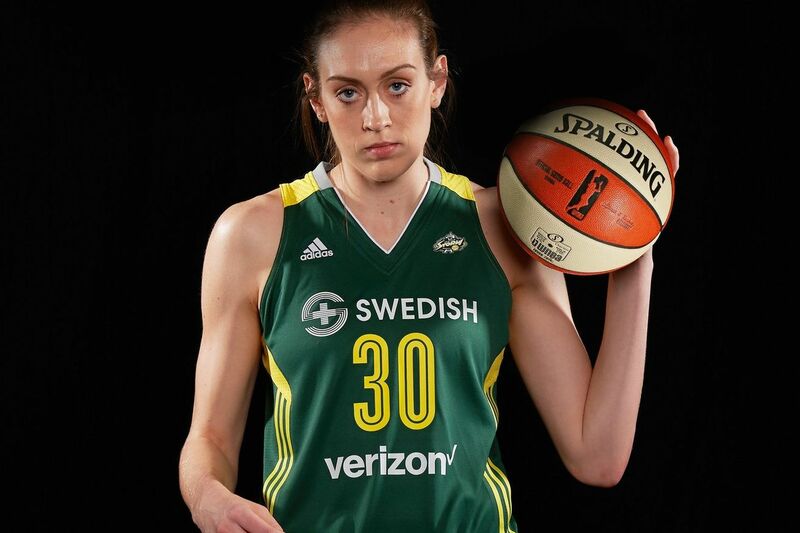 Breanna Stewart. Stewart was the 2016 WNBA #1 Draft Pick and not only did she live up to the hype surrounding her arrival to the W but surpassed expectations. Taking home Rookie of the Year Honors, the 6-4 forward averaged 18.3 points (sixth in the WNBA), 9.3 rebounds (second) and 1.9 blocks (third). With a record of 16-18, Stewart led the Seattle Storm to their first playoff appearance since the 2013 season. Along the way, she scored in double figures 31 times and logged 12 double-doubles. 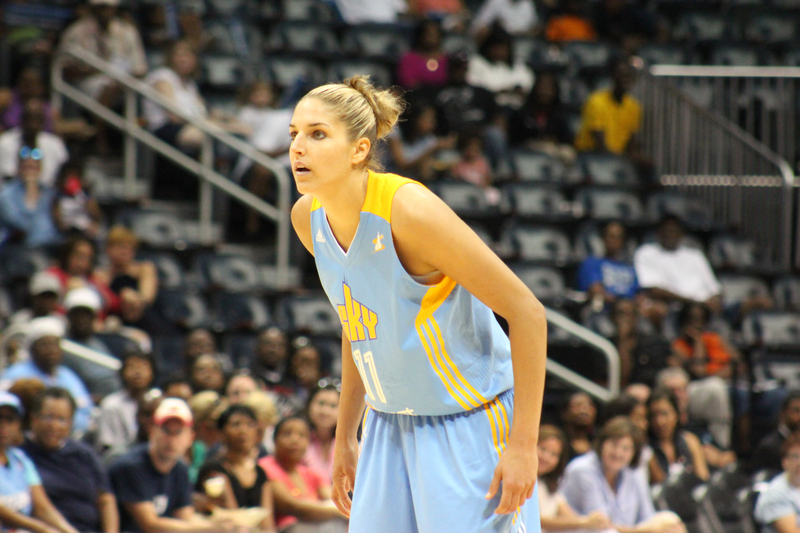 Stewart scored at least 30 points twice, recording a career high 38 points in an 84-81 win against the Atlanta Dream on June 28. Stewart earned all four WNBA Rookie of the Month presented by Samsung awards and was named Western Conference Player of the Week once! In addition to her stellar rookie debut, she was named to the Olympic Women’s Senior National Team where they brought home the gold medal in dominating fashion during the Summer Games in Rio. I think it’s safe to say that Breanna Stewart will be a force to be reckoned with for years to come. With the likes of Jewel Loyd alongside her, the Seattle Storm will soon be back to the championship caliber team they once were. 4. WNBA Top 20@20 Presented By Verizon. The WNBA celebrated it’s historic 20th season anniversary during the 2016 season. 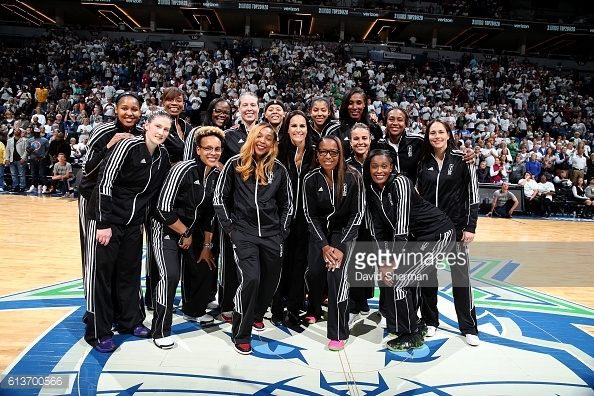 The WNBA is the longest running women’s professional league in the United States. In celebration, the league announced the 20 greatest and most influential players in its history. The unveiling came on June 21st to honor the date of the league’s inaugural regular-season game played on June 21, 1997. The WNBA Top 20@20 presented by Verizon includes nine current players: Seimone Augustus, Sue Bird, Swin Cash, Tamika Catchings, Maya Moore, Candace Parker, Cappie Pondexter, Diana Taurasi and Lindsay Whalen. 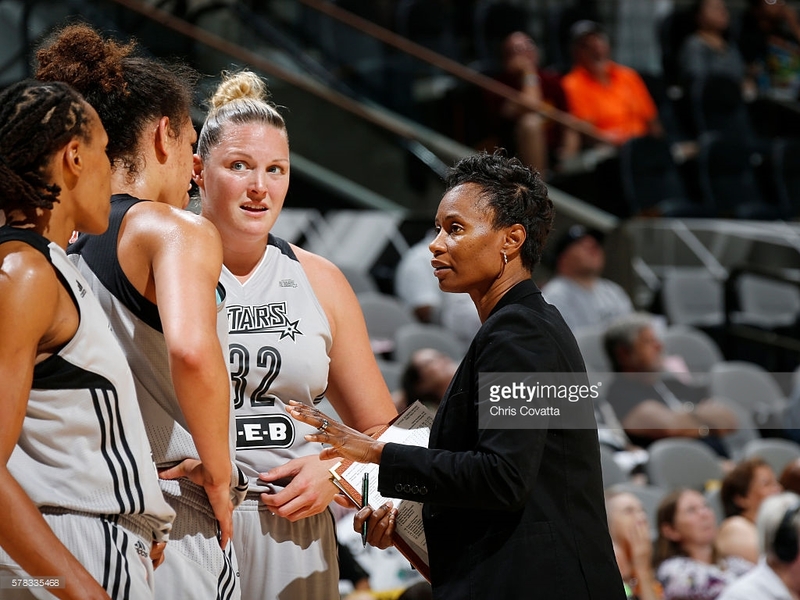 Eleven former players are also among the honorees: Cynthia Cooper, Yolanda Griffith, Becky Hammon, Lauren Jackson, Lisa Leslie, Deanna Nolan, Ticha Penicheiro, Katie Smith, Sheryl Swoopes, Tina Thompson and Teresa Weatherspoon.